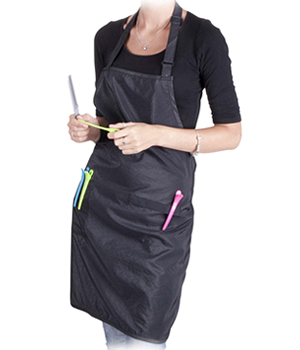 The Kobe Hairdressing Apron is specially designed for the salon stylist to protect your clothes from the spills and splashes of everyday salon life. It's made from water-repellent fabric that's proof against hair colour, shampoo, conditioner, peroxide and of course, water. 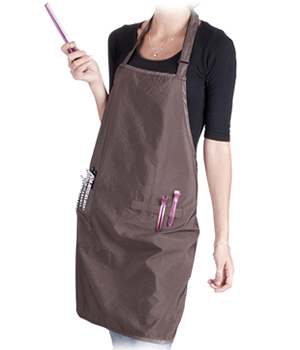 There's an adjustable neck strap to ensure that the apron sits where you most need it. 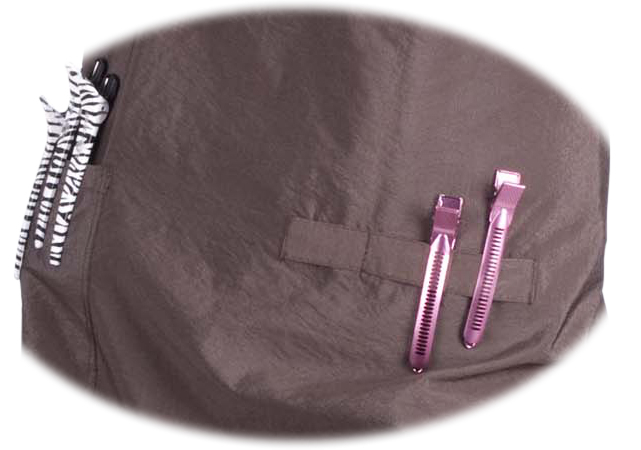 Meanwhile on the front there are 2 pockets that'll take things like brushes and combs and a couple of clip loops that are a great place to park your clips while you're working (see picture). 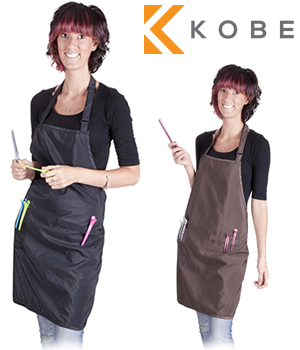 The Kobe Hairdressing Apron comes in 2 colours: classic Black or chocolate Brown.